For any young child who dreams of a treehouse, the Swiss Family Treehouse is the ultimate mansion. Based on the Swiss Family Robinson movie, this treehouse is home to the shipwrecked Robinson family, with multiple rooms and multiple layers to enjoy and discover full of items salvaged from their wrecked ship. There is a lot of attention to detail in this self-paced attraction. 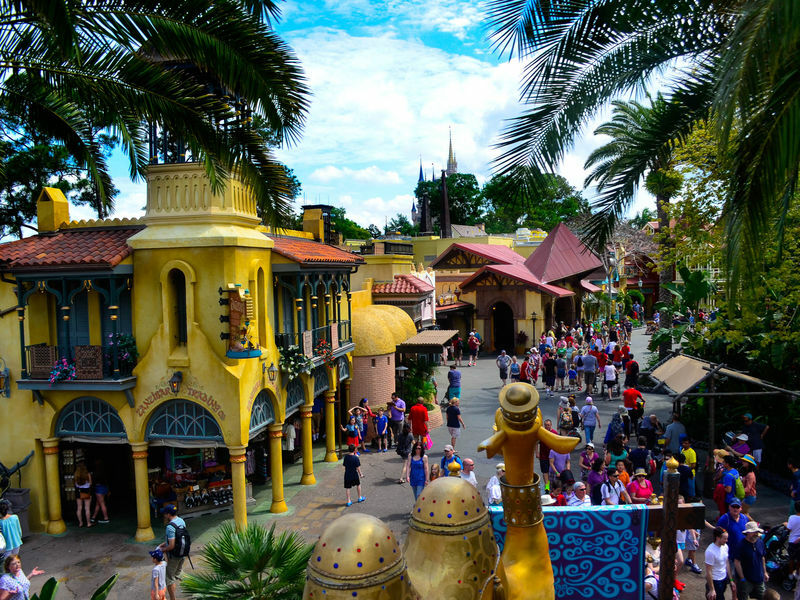 Location: On the left as you enter Adventureland from Main Street. # of Ride Units: None, the attraction is a walkthrough. Wait Times: It is uncommon for a line to form, and if one does it is probably best to just return at a later time since the crowding inside the treehouse is likely to be claustrophobic. Length of Ride: It is a walkthrough so it depends on you, but a steady pace will finish it in 15 minutes or so. Queue Description: There is no queue for this attraction, you just start walking through. Health Restriction: Walking the entire attraction will require climbing more than 100 stairs, people for whom this would be difficult should pass on this attraction. Ride Access: The attraction is not at all wheelchair or ECV accessible, you must walk through the attraction. Swaying bridges require decent balance and suggest against using crutches. Audio: There is no audio, plaques through the attraction tell the story. Weight and Size Issues: If you can handle the stairs, there should be no other issues for weight or height. At this location: Swiss Family Treehouse has occupied its location since the park opened in 1971. The Attraction's History: Modelled after the Swiss Family Treehouse at Disneyland (which has since been replaced by Tarzan's Treehouse) the attraction has remained essentially unchanged for 35 years. Is it deciduous? The tree contains about 300,000 fake leaves and the entire tree weighs 200 tons.